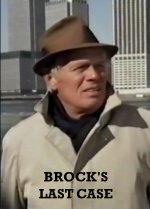 Inverting the McCloud idea of sending a country cop into the big city, this unsuccessful TV pilot is notable for the spirited performance of Richard Widmark. There are shades of Widmark's own Madigan character in the opening sequences, as the New York detective metes out his own brand of tetchy justice to felon and citizen alike. But it settles back into TV-movie cosiness once he decamps on a ranch out west and agrees to help native American Henry Darrow prove he didn't kill the local sheriff. With a supporting cast full of familiar faces, this is good-natured light entertainment. Excellent picture quality. There is a couple of seconds of "snow" half way through where it appears two halves of the film have been joined.